Universal lithium white consistent grease with polytetrafluoroethylene (Teflon). The grease is designed for lubrication and anti-corrosion protection of mechanism parts. It is specially developed for considerable reduction of friction and wear. Owing to Teflon, the grease provides particularly light sliding of parts. It prevents squeaking sounds that occur as a result of stick-slip motion. Resistant to dust, moisture and other aggressive media. Creates a visible white waterproof and corrosion-resistant film on parts’ surfaces. Used for lubrication of bearings, ropes, chains, gears, hinges, guide rails, rollers and threaded joints. 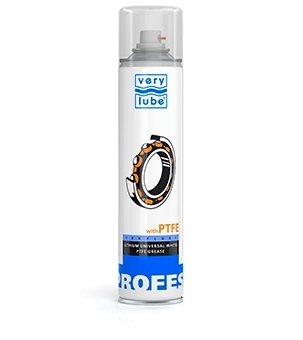 Protects fastening elements of the car body and chassis as well as unpainted metal parts from corrosion. Spray its contents onto a cleaned dry surface.